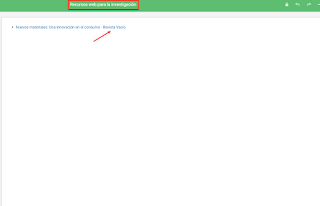 APROVECHO PARA TRATAR EL TEMA DE LA CURACIÓN DE CONTENIDOS A TRAVÉS DE LOS MARCADORES SOCIALES "SOCIAL BOOKMARKING" GRACIAS A LOS CUALES NO TENEMOS PORQUE ENTRAR UNA Y OTRA VEZ CADA DÍA EN BUSCA DE NUEVAS ACTUALIZACIONES, SI NO QUE ESTOS NOS AVISAN CUANDO LOS MEDIOS TIENEN NUEVAS ENTRADAS. DE AHÍ SU IMPORTANCIA YA QUE NOS AHORRAN UN TIEMPO IMPORTANTE Y EN CUANTO SE PRODUCE LA NUEVA PUBLICACIÓN ESTAMOS INFORMADOS. 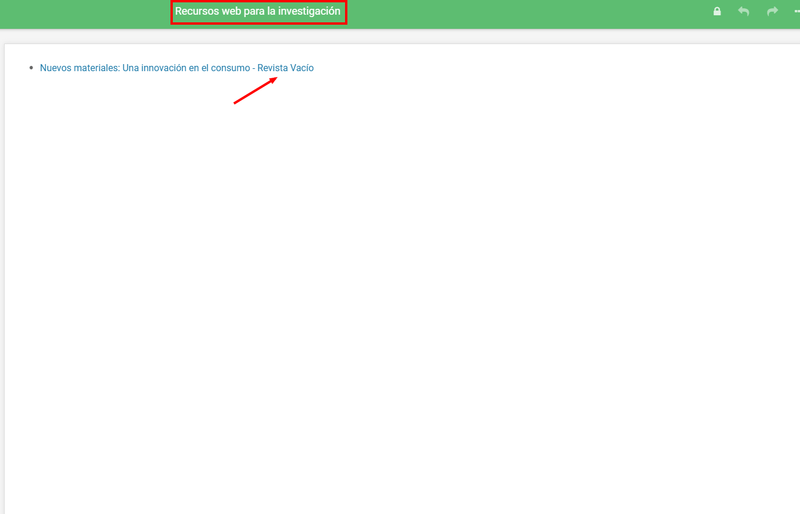 DENTRO DE ESTE RECURSO PODEMOS CREAR NUESTRO PROPIO OUTLINER EN MI CASO LO HE LLAMADO RECURSOS WEB PARA LA INVESTIGACIÓN Y OS DEJO UN PANTALLAZO CON MI PRIMERA ENTRADA EN EL.